If you want to edit source code of the game, you will need to have a license of the program. 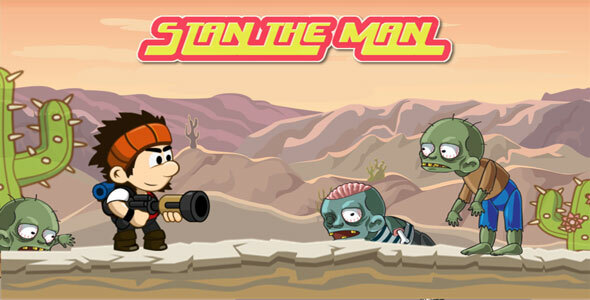 But to reskin the game, you have to replace images in the “stan_the_man_html” folder(included in buyers pack). Replace music and sound effects in media folder. In “data.js” replace external links with yours. And, that’s it. You have your own reskin game with your external links and ads. Game has 20 levels, but you can easily add more levels. There are lot of objects with physics behaviours, so change their parametars and build much more interesting obstacles and gameplay. No programming knowledge needed for reskin game.